This card is not issued from or under any private club, membership, association, limited or binding membership, etc. It is a universal card with a rotarian complexion under the Moorish Nation and is for all Moors in America, the Moor American National who operates in the principles of Love Truth Peace Freedom and Justice. No one Nationalizes you, you nationalize yourself because it starts in your mind as a conscious 'Declaration', then you proclaim it in written form, therein the Name Correction and Judicial Notice and Proclamation papers. 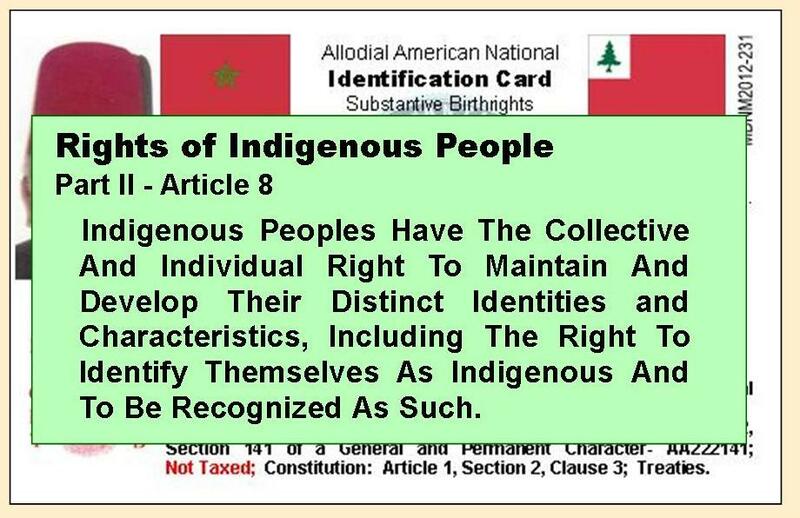 With this identification card you will receive '7' Locations to mail those personal documents for the purpose of putting government entities on Notice of your National Status so there will be no assumption of jurisdiction for Moor American Nationals. If you have not made your Name Correction and Judicial Notice and Proclamation of your status, you can download them free from our "Writs of Freedom" page.